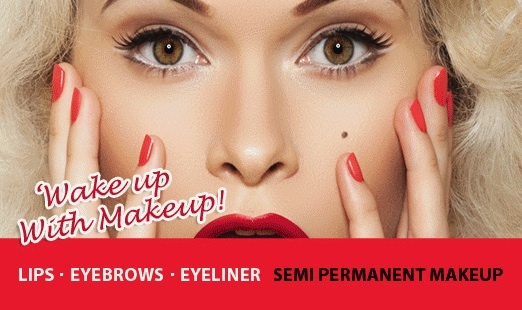 However, for this post it is dedicated entirely to Semi-Permanent Makeup! Now this is a makeup addicts dream as you wake up with makeup! Who wouldn’t want this, I mean it’s easy and hassle free. I have seen a number of women in the past who have had either semi-permanent eyebrows, eyeliner and even lips which I thought at the time was awful. However, I did also see women who had it done and looked very natural which also enhanced there features. So I guess it all all about how it is done and the quality of it. This is why I am going to explain to you how Allure Clinique use quality with each of there clients to ensure that they do nothing but the best for each individual, as it was Allure who helped turn my view around on semi-permanent makeup. Personally I do not feel that I need/want SPMU but to all the women who feel like they are lacking a defined brow, fed up of applying eyeliner or want a more naturally defined look, or even women who want their lips to look fuller or have a splash of colour. 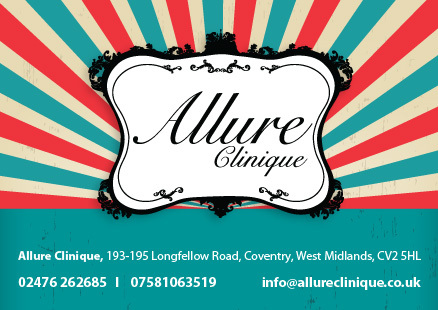 This is the thing for you………..
At Allure Clinique we specialise in Semi Permanent Make Up (SPMU)… ‘Wake up with Makeup’. 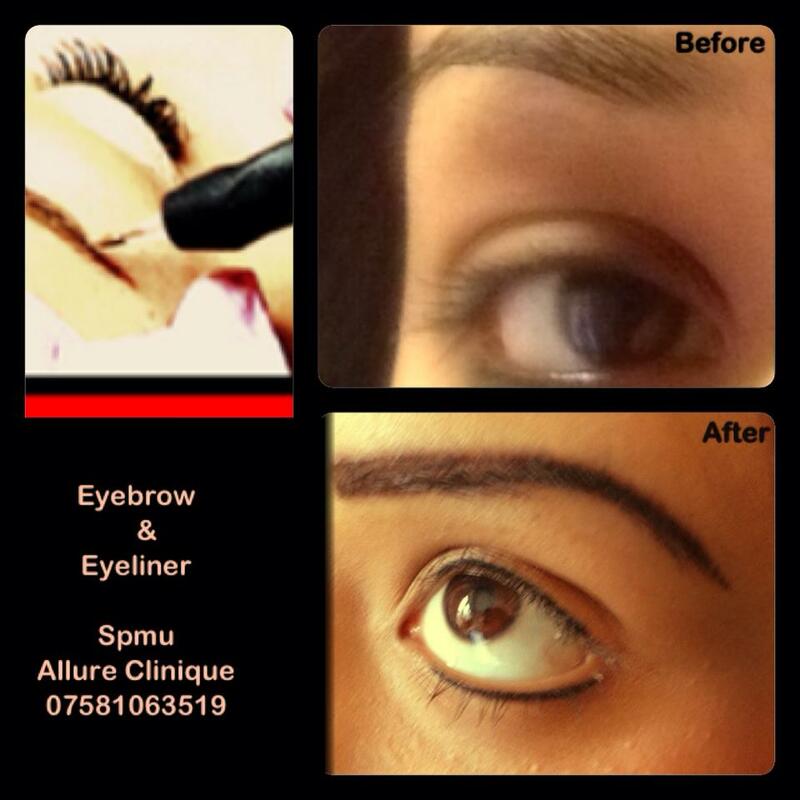 SPMU Perfectly applied can create natural looking results that can be as subtle or as dramatic as you wish. Why not take a glimpse of ‘eternally beauty’ at Allure Clinique. Our services will leave you feeling and looking younger with the artistic enhancement of natural beauty, designed and created for each individual with the use of Semi Permanent Make up (SPMU). Eyebrows give depth and character to individuals face as they frame the face. 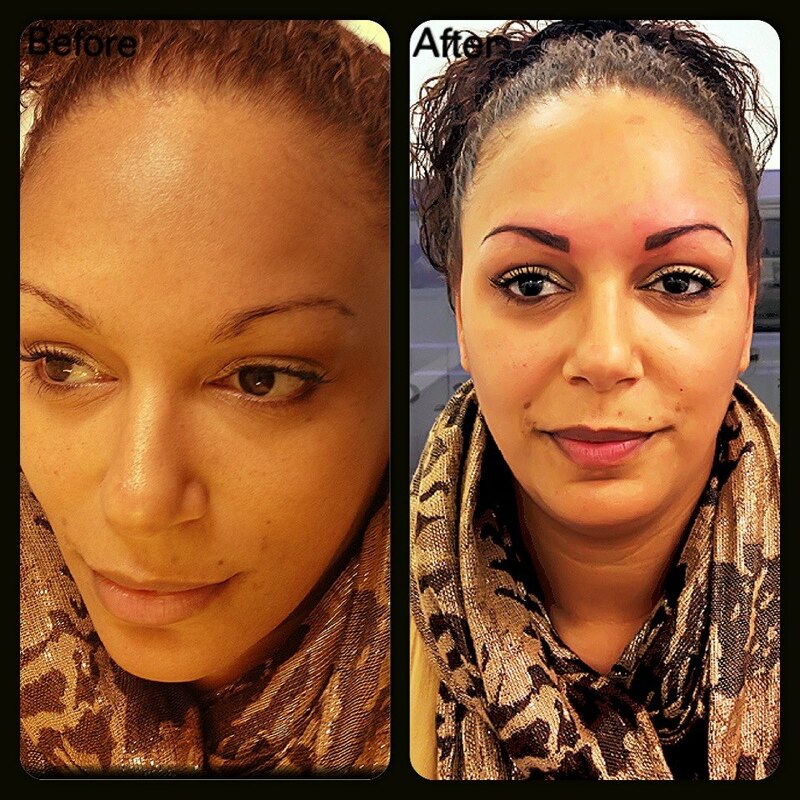 Semi Permanent Eyebrows can correct your over plucked or sparse eyebrow shape. Creating natural hair strokes to give a fuller and natural look. With SPMU we can enhance your shape, and colour to gain the perfect look to suit your very needs. Lashes can be made to look thicker by applying a sort natural line between the lashes. This is a very effective method of ‘opening the eyes’. The results can be fine or voluminous; creating a look that’s tailor made for you. Having the perfect look everyday with no hassle of smudging or getting the right line you will have the precise look to give you more definition for an everyday Makeup look. 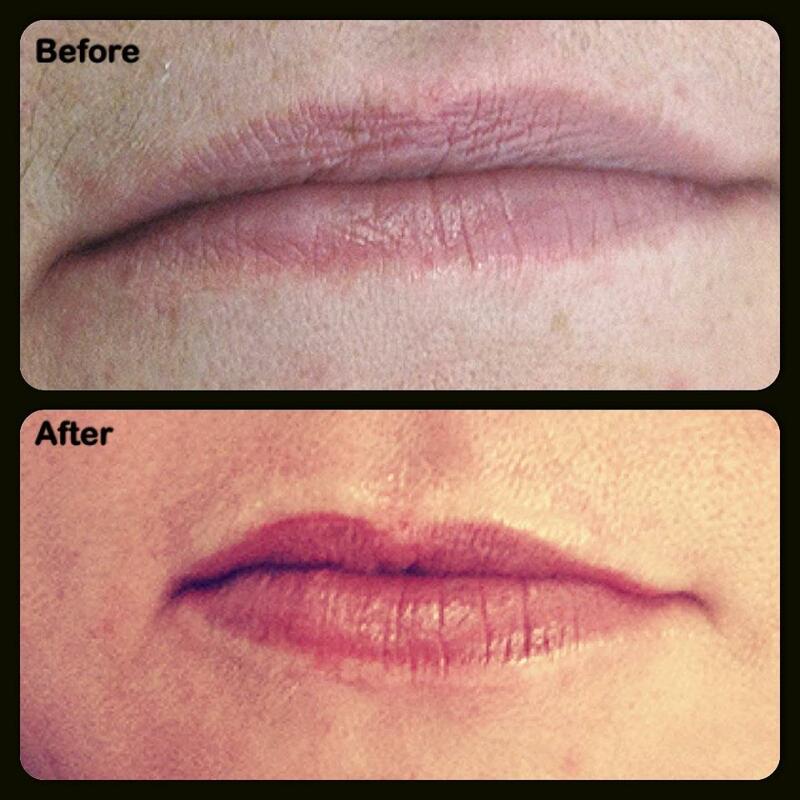 Getting the perfect lip shape can sometimes be a long process; however you can now amend or give the look you require with Semi Permanent Makeup. Lip enhancements are a wonderful way of subtly replacing lost pigment especially to the outer border of the lips where it most commonly fades as we age. The technique of blending the pigment with the natural colour of the lip ensures no harsh out lines. Permanent makeup also known as micro-pigmentation; a process where hypoallergenic pigments are inserted into the dermal layer of the skin to achieve cosmetic results. This service is successful for women and men of all ages to enhance their natural beauty and gives a flattering look every minute of the day. It is a two step process, spaced between 4 weeks apart. 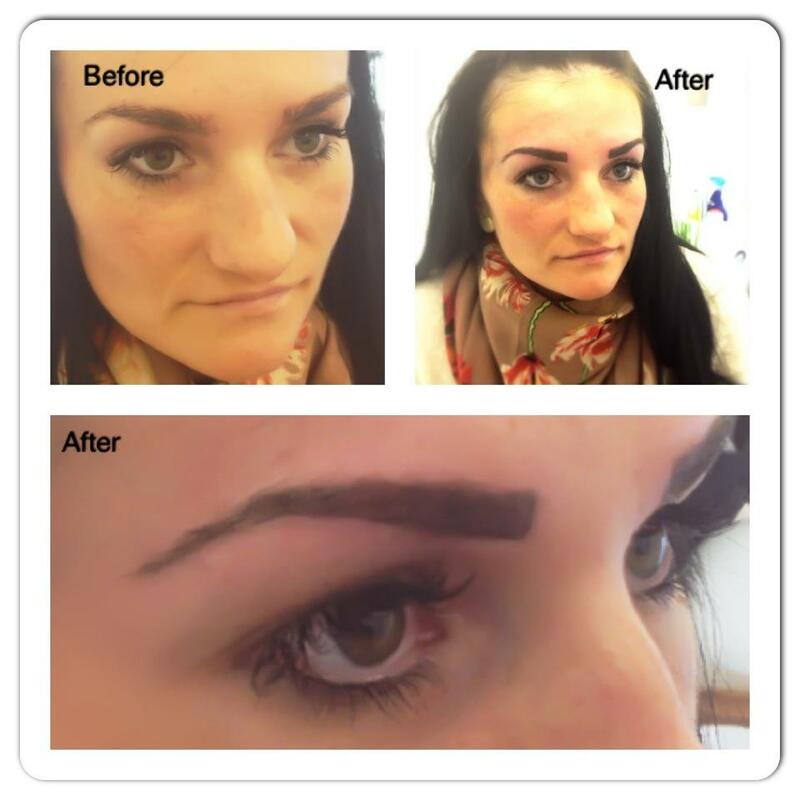 Semi Permanent make up requires touch ups and maintence between 18-24 months apart. The highest standards of hygiene and safety are up held at all times with the digital machine. Similarly the pigments used are hypoallergenic, which hold a medical certificate allowing them to be used with a sterile clinical environment and have no history of allergic reaction. Thanks to a wide range of Anaesthetics, the feeling is just like tweezing, and no rest time is needed. How will the results last over time? The procedure can last between 3-4 years, however a second procedure will be needed a month after so the skin can be reanalysed and touch ups can be made for the best colour intensity. How much input will I have when looking for the final look? 100% input will be made with yourself during the procedure the procedure, the colour, shape, style, size and density will be approved by you. With our advice and expertise guidance throughout to make you feel as confident as ever. How will it look immediately after treatment? Immediately after treatment the colour is 40% more intense than the final result, as the colour will fade after the procedure is healed. It is recommended to use soothing creams such as Vitamin E cream if you feel any discomforts. Permanent makeup can sometimes be a little expensive upfront, but if you add up over the years what you are saving on your general makeup and the time you spend, it’s not that expensive at all. Prices always vary on the grade of Pigments as the pigments will always stay under the skin however may fade due to the sun or length in time. It is always best to go where pigment quality will be at a high standard therefore touch up will not be necessary sooner. 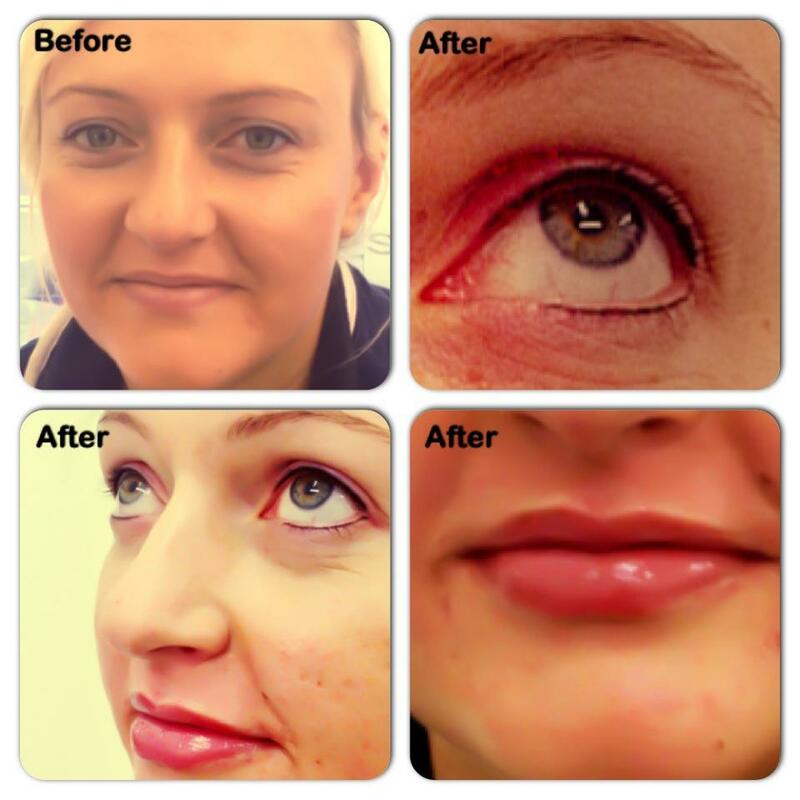 To show you what a fantastic job Allure Clinique deliver to their customers, here are some before and after pictures of clients who have already had the treatment……. This is how SMPU should be done, what do you think ladies? Would you consider it? Like or comment below to let me know what you think of this post. « Allure Clinique: Viber8 Machine, Can you shake yourself thin?